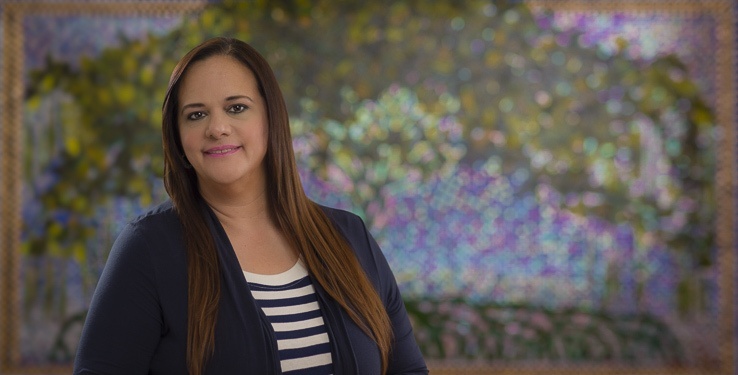 Mrs. Domínguez, who directs our Miami office, leads the Government Enforcement & White Collar and Criminal Defense Practice Team, applying her extensive experience to advise and defend clients in criminal and regulatory investigations, enforcement actions, and civil litigation. Prior to joining McConnell Valdés she served as the First Assistant U.S. Attorney in the U.S. Attorney’s Office for the District of Puerto Rico (San Juan) for eight years. During her 20 year career at the U.S. Attorney’s Office in San Juan she held several other supervisory level positions, including Deputy Chief of the Criminal Division, Acting Chief of the Criminal Division, Acting Chief of the Civil Division, White Collar and General Crime Chief, and Senior Litigation Counsel. Prior to this, Mrs. Domínguez worked as an Assistant U.S. Attorney in the U.S. Attorney’s Office for the Southern District of Florida (Miami), for almost six years. At that office she served as Coordinator of the Armed Career Criminal, Fast Track, and Health Care Fraud Programs. She began her career in public service as an Assistant State Attorney in the 11th Judicial Circuit of Florida, under the leadership of former U.S. Secretary of Justice, Janet Reno. She also served as Program Director for the Department of Justice’s foreign assistance program (OPDAT) at the United States Embassy in Bogotá, Colombia for a period of three years. OPDAT supported reform of the criminal justice system in Colombia, transitioning from an inquisitorial system to an accusatorial system, which included the drafting and implementation of a new criminal procedure code, and training of justice sector components in the country. During her tenure with the U. S. Department of Justice she was the recipient of numerous awards and commendations, including the Attorney General Award, two time recipient of the U. S. Department of Justice’s Director’s Award for superior performance as an AUSA, four Commendations from the Federal Bureau of Investigation, Commendations from the Drug Enforcement Administration, the Bureau of Alcohol, Tobacco and Firearms, the Internal Revenue Service, the Commissioner of the Social Security Administration, the Inspector General of the Office of Inspector General for the Social Security Administration, and an Exceptional Service Award from the National Association of Former United States Attorneys. During her career as a state and federal prosecutor, Mrs. Dominguez prosecuted over 100 criminal cases, including approximately 25 jury trials, and several capital cases. Mrs. Domínguez is a trainer with the National Institute for Trial Advocacy (NITA). She has taught Federal Jurisdiction at the UPR Law School, and currently teaches Advanced Criminal Law (White Collar Crime) and Federal Litigation at the Inter American University Law School in the Juris Doctor and LLM Programs. She has lectured extensively as a guest speaker in Puerto Rico and Latin America on issues related to Money Laundering, Financial Crimes, Public Corruption, Fraud, and Organized Crime. She was recently sworn in as a Fellow of the American College of Trial Lawyers, and is Vice-Chair of the Puerto Rico Chapter. Instituto del Sida Corruption Case – Multi defendant case involving the diversion of Federal and local funds earmarked for Aids treatment and education in the Municipality of San Juan. Mayor of Toa Alta prosecuted for corruption and kickback scheme. Caguas Federal Savings Bank Case – Multi-defendant case involving bank fraud and misapplication of funds in massive loan kiting scheme executed over almost a decade. Trial lasted 18 months and is the longest trial in the history of the First Circuit. Hobbs Act Robbery involving the murder of a Ranger American Security Guard. Prosecuted as a death penalty case. Trial involved guilt and sentencing phases. La Tómbola Massacre – prosecuted as a RICO and VICAR death penalty case. Trial involved guilt and sentencing phases. Attempted Carjacking Murder trial of two defendants for the murder of Stefano Steenbackers Betancourt. Successful representation of two Federal Agents in Bivens suit. Representation of leading dialysis provider in contract claim. Member of defense team representing on-line travel service provider in tax claim by Puerto Rico tax authority. Representation of former Commander of the Colombian AUC in criminal case in the Southern District of Florida, involving charges of drug trafficking and narco-terrorism. We also represented him in OFAC proceedings. Representation of high level alleged Colombian drug lord in criminal prosecution in the Southern District of Florida. Representation of various business executives in matters before the Office of Foreign Asset Control (OFAC), and have successfully had them removed from OFAC list. Successful representation of defendant in a $25 million dollar bank fraud case.